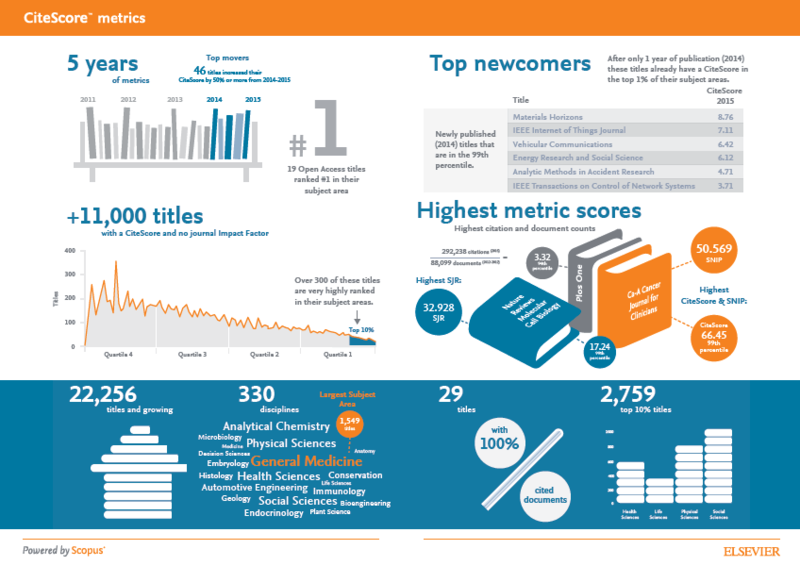 CiteScore 2016 annual values are now available for over 22,600 titles on both Scopus and journalmetrics.scopus.com. Additionally, CiteScore Tracker 2017 is now initiated, meaning you can start tracking the progress of how a title’s CiteScore 2017 value is building throughout the year. The latest data was calculated on May 23, 2017. Read more details about the improvements made to CiteScore metrics over the past 6 months — including the ability to view the data behind a title’s calculation. 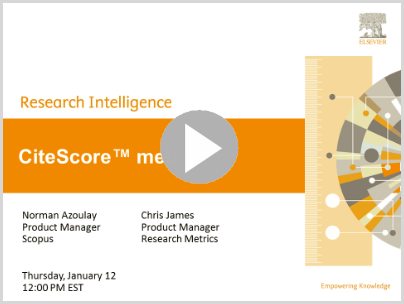 To learn more about how CiteScore is calculated, watch the video. Transparency – The most notable improvement is the increased transparency of the metrics, enabling you, whether or not you have access to Scopus, to validate any CiteScore value by clicking into the numerator (citations) and denominator (documents). Corrections to journal subject area classifications – through publisher feedback we have updated the classifications given to over 150 titles to better reflect their areas of research. Seamless CiteScore calculations for title changes – when a title changes its name, the new title will receive a CiteScore when the next annual values are published, using documents (where applicable) from both the old and new title names. The Author and Affiliation search results pages now share the same look and feel introduced to the Scopus document search results last month -- changes which also help improve web accessibility. To learn more details about these changes, follow along below. Click on images to expand. A special note for librarians at SciVal institutions: You can now can use Scopus to create a Publication Set to export and analyze in SciVal. See more information below. Research dataset links can now be found on the Scopus Document details page. 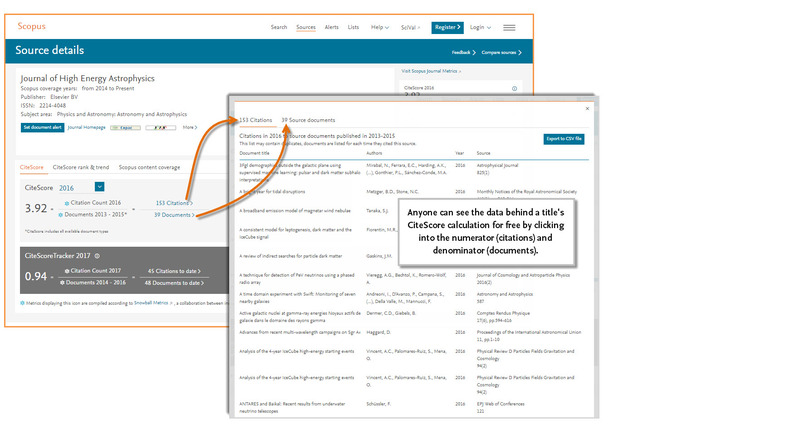 Through collaboration with Data Literature Interlinking (DLI) service and Scholix, Scopus is able to link articles with datasets when available on the external data repository.